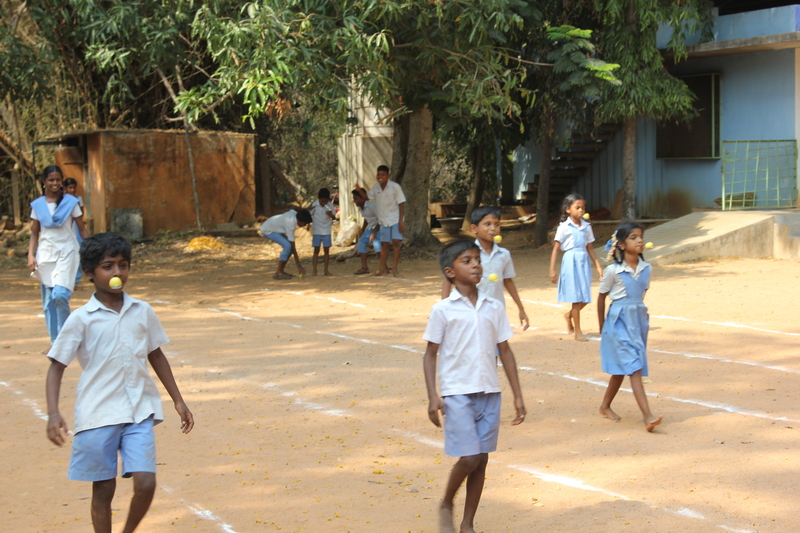 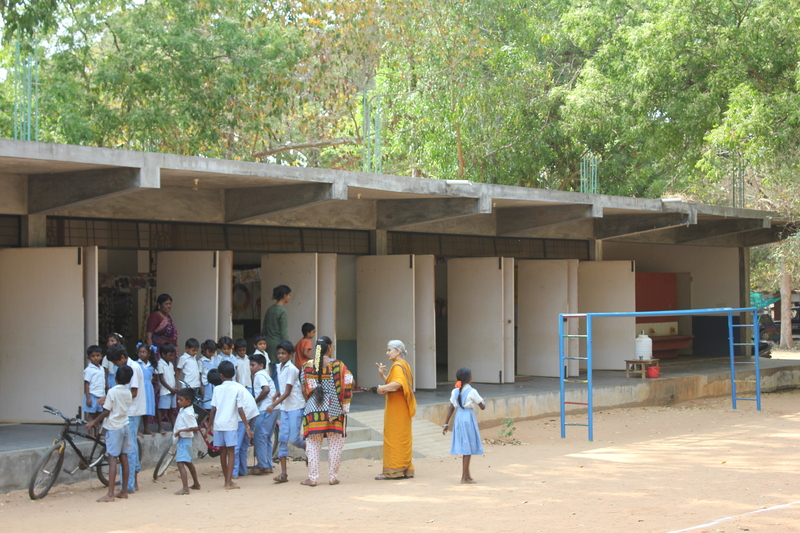 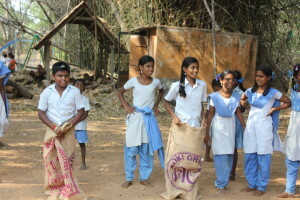 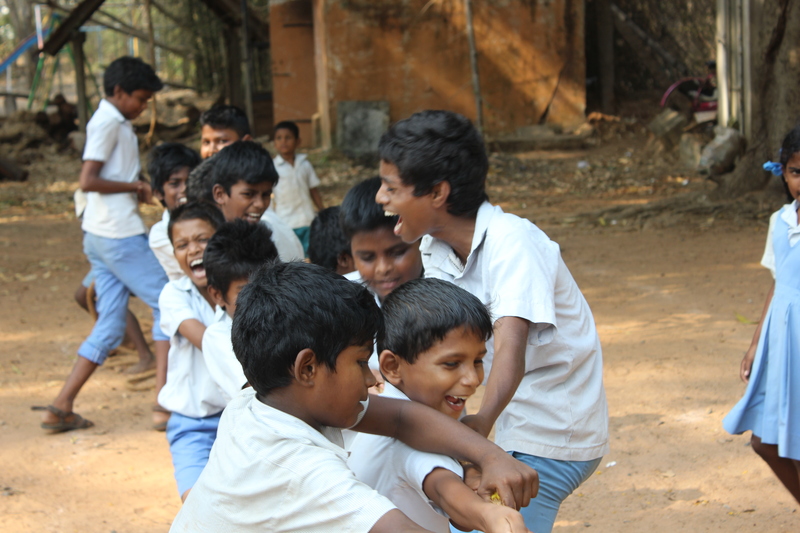 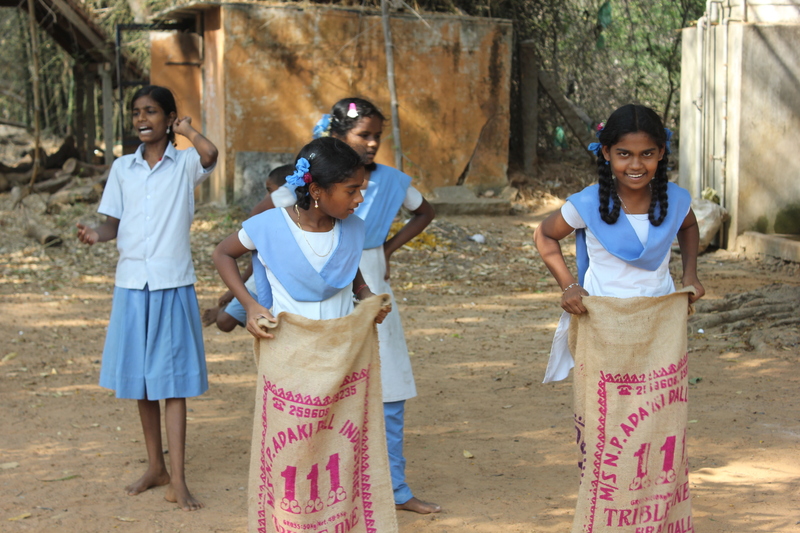 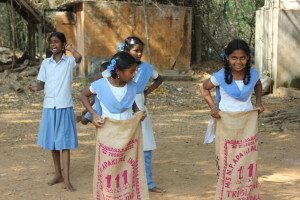 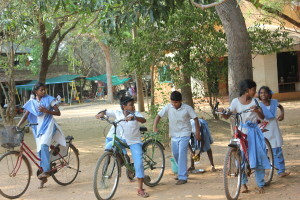 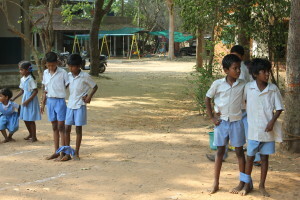 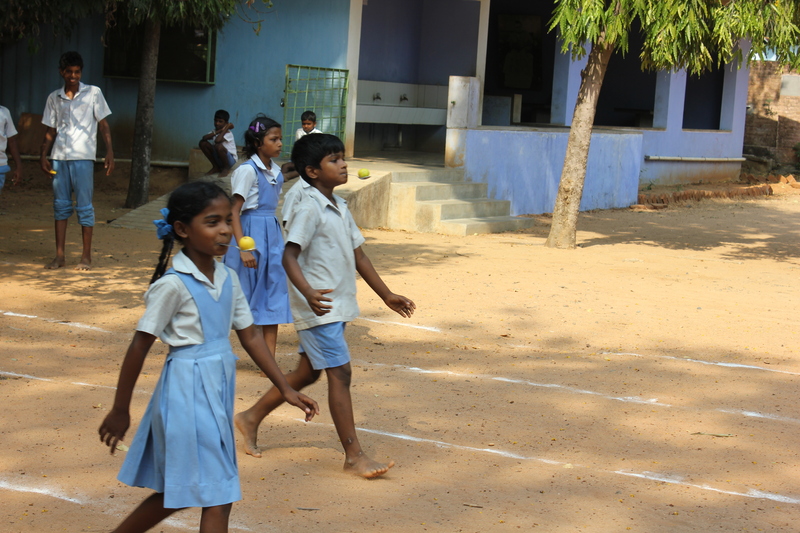 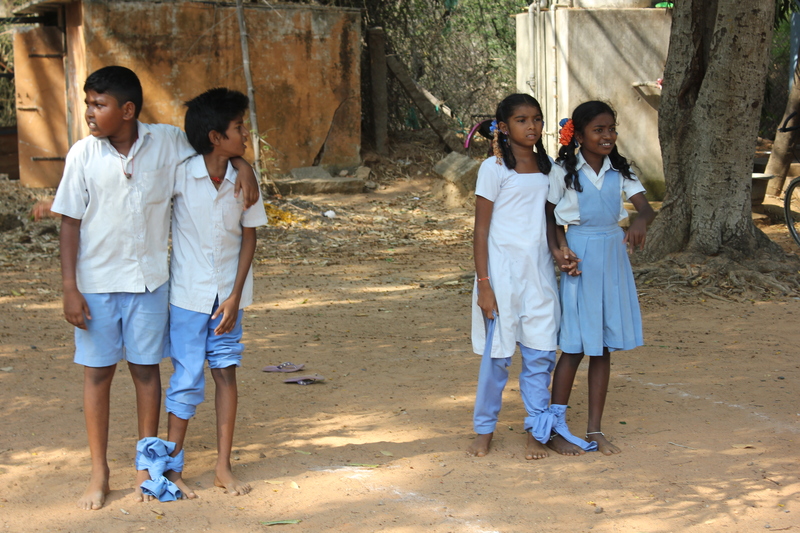 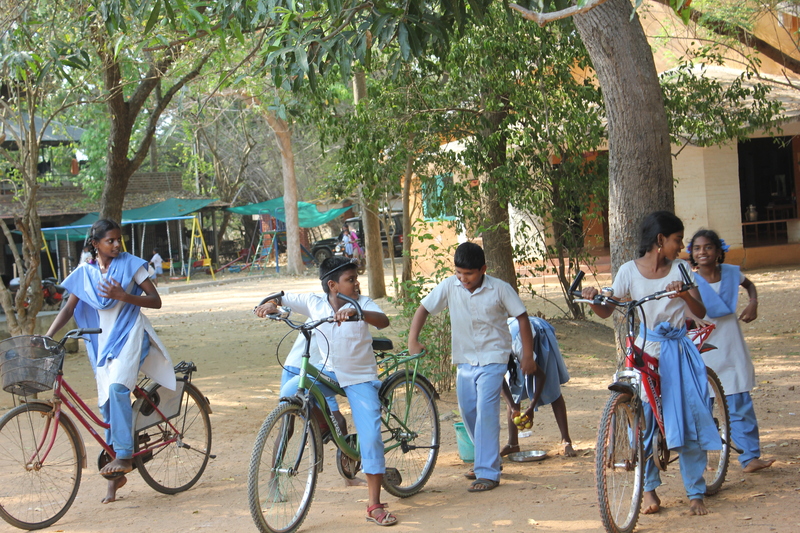 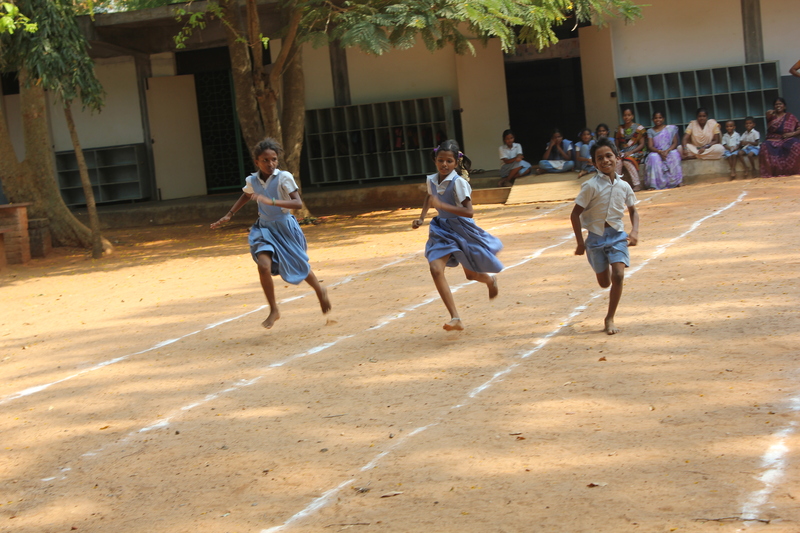 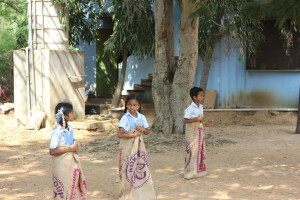 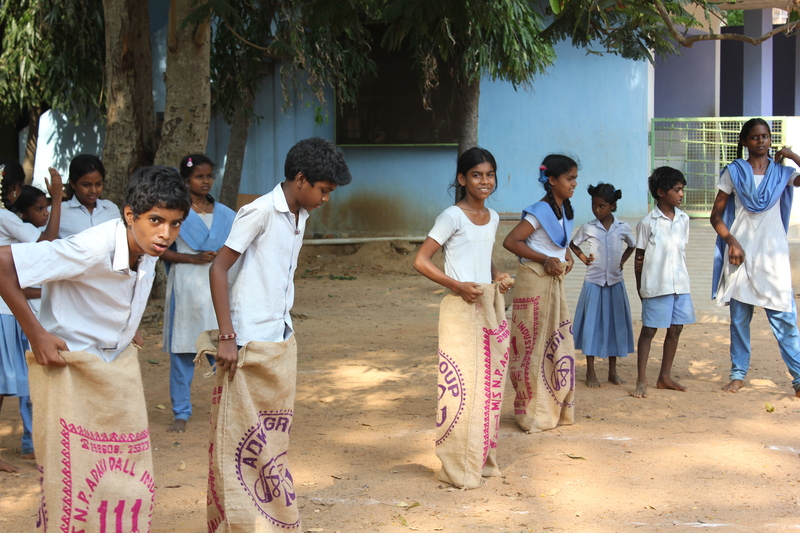 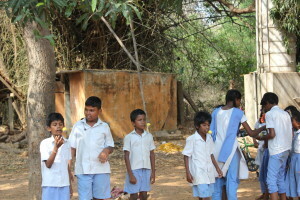 On Friday in Isai Ambalam School we conducted sports-day for the children. 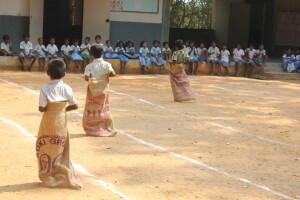 The tasks were sack race, lemon in the spoon, slow cycling, running race, three legged race and Tug of war. 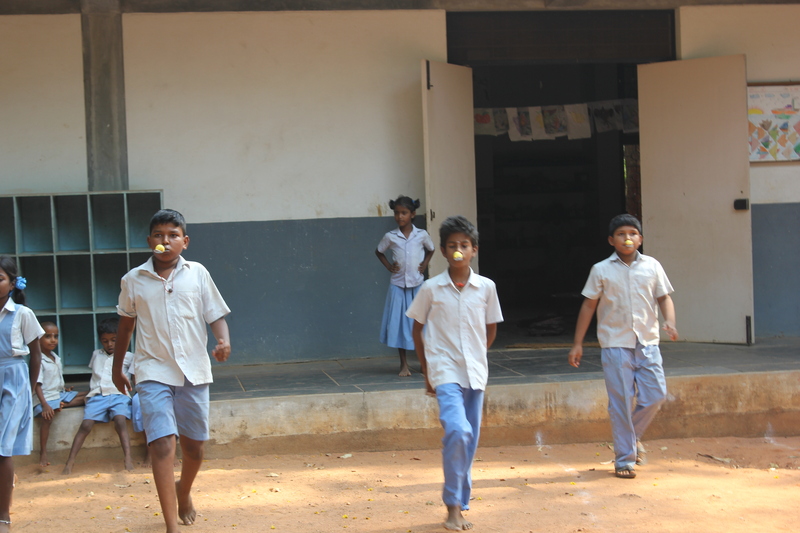 We started with the first standard class and conducted till 7th standard. 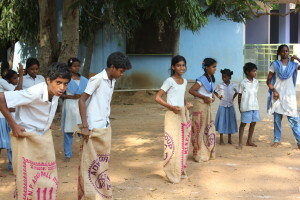 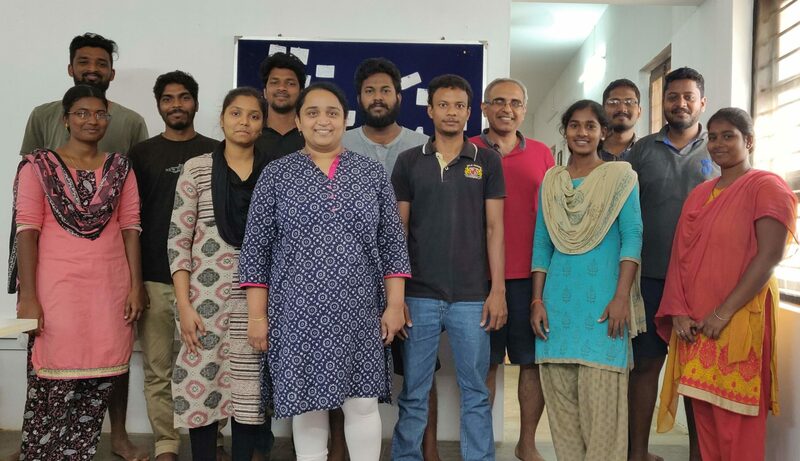 The organizers were Anitha and Sasikala. 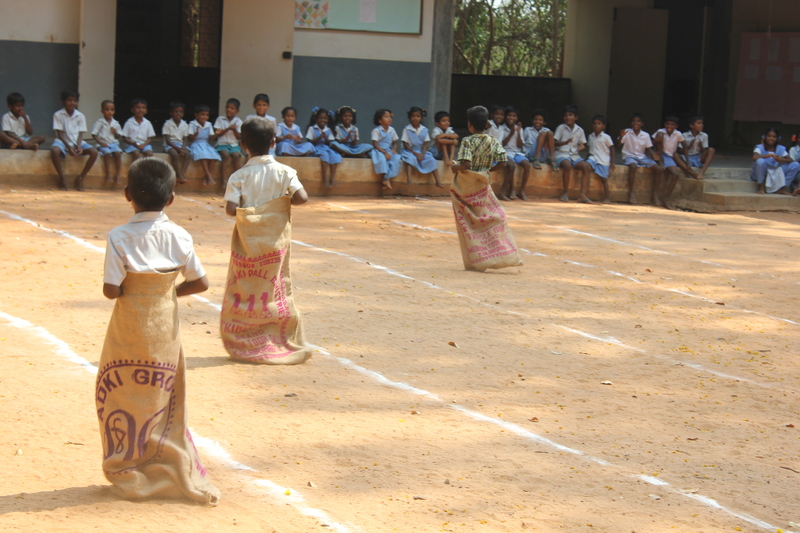 This was the first time that we conducted these game for the student . 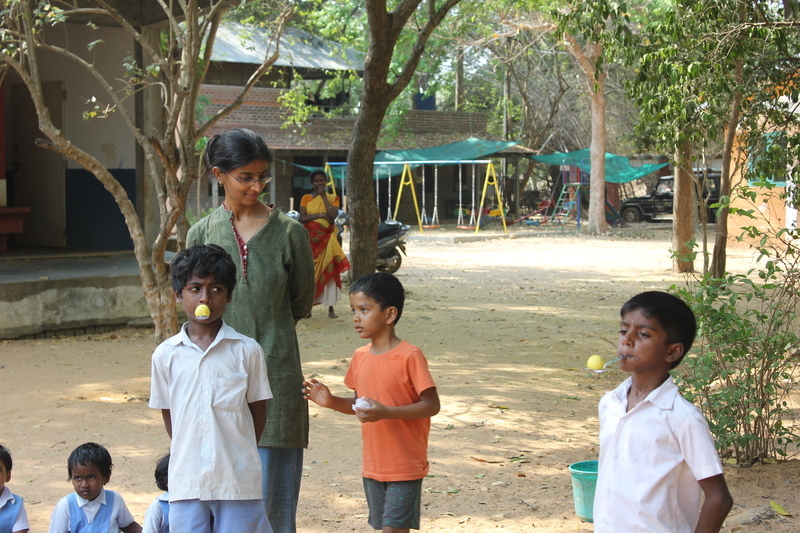 I enjoyed a lot and it was a good experience to conduct such activities for the children. Other than the participants the children were encouraging the students to win the game. Handling small children with such activities was very difficult. And I learnt that I need to have lots of energy to conduct such activities. It was a great opportunities for me and others to conduct such activities. 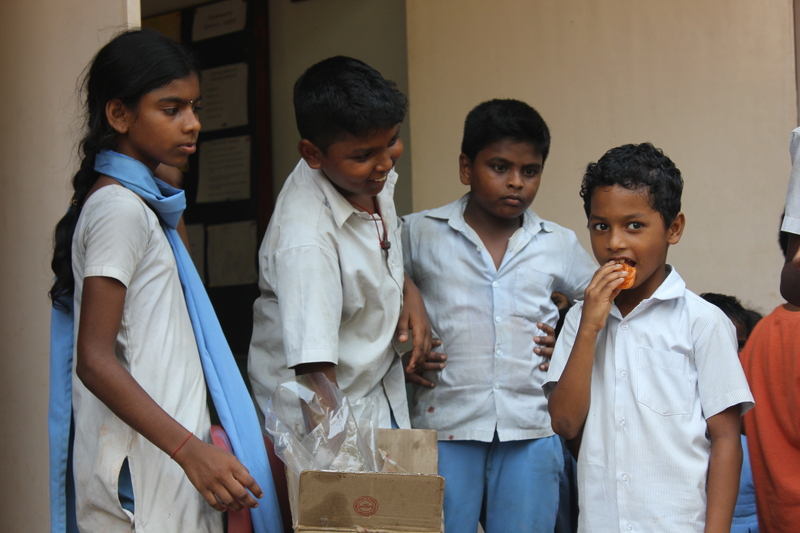 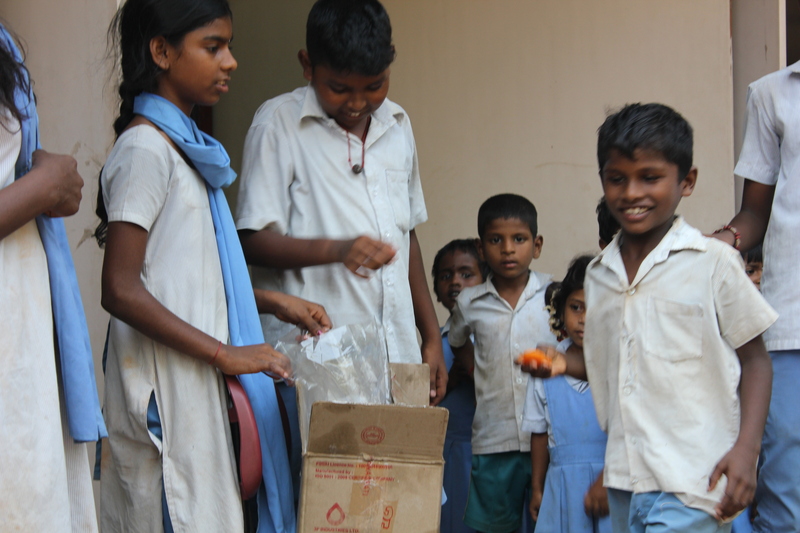 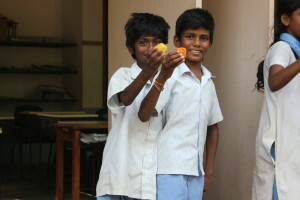 For the winners we gave laddu and jangiri for the children. 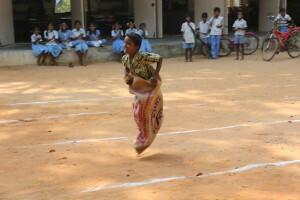 The winner got laddu and the runner got jangiri. 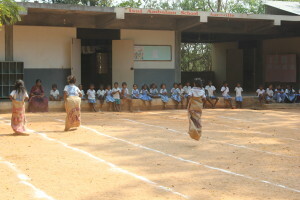 All the children were excited and energetic.